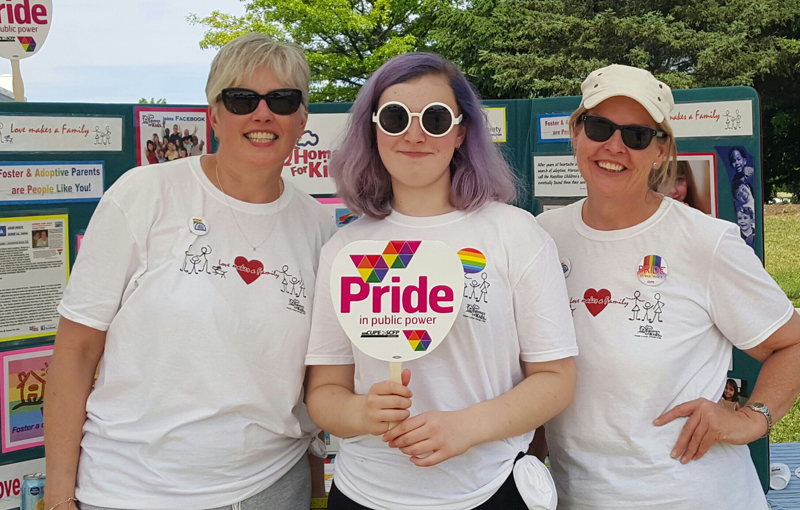 The agency has been an active participant at the Hamilton Pride festival for many years and we are inclusive and welcoming to potential foster and adoptive families within the LGBT2SQ+ community. The agency recognizes the vibrant, diverse and intersectional communities falling within the LGBT2SQ+ community, especially when children and young persons are in contact with the child welfare system. The agency has a long-standing LGBT2SQ+ staff committee where we have planned learning opportunities for staff and foster families, special events, created our own logo and participated in the provincial self-assessment tool that allowed us to understand the key areas we need to improve service and understanding with LGBT2SQ+ services.